Here is another card I made for the new Woodware Craft Collection catalogue with the Winter Trees stamps designed by Francoise Read. I created the background using the Stampendous Creative Palette and embossed the trees with Stampendous detail white embossing powder. I added a some Stampendous chunky white embossing powder before heating it all. I pinched some of the chunky powder in my fingers and let it drop randomly onto the card before heating from underneath. The chunky powder expands when heated to create a snowy effect. 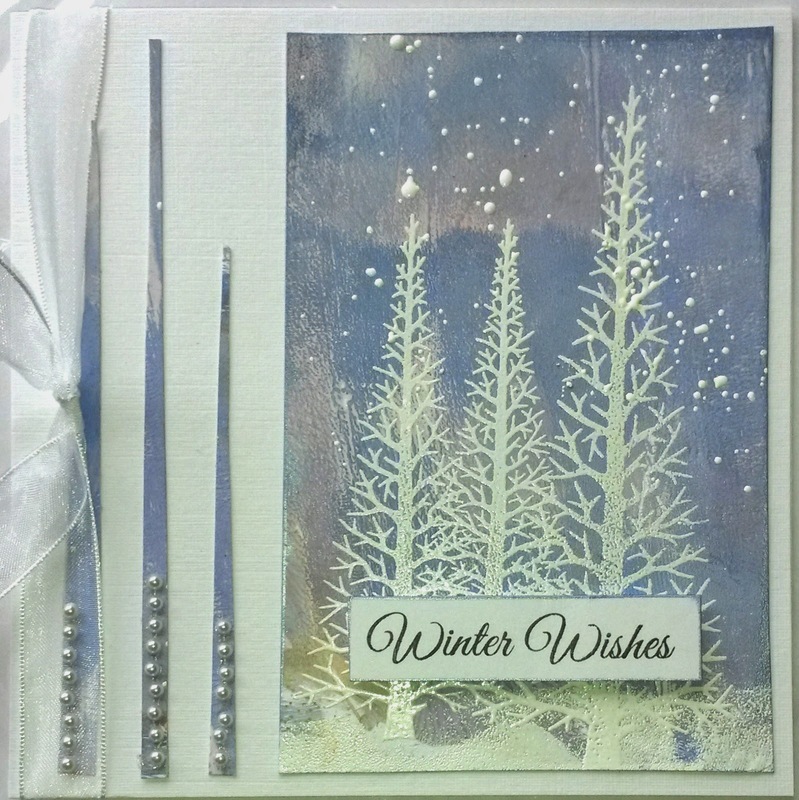 Beautiful card, love the wintery scene.